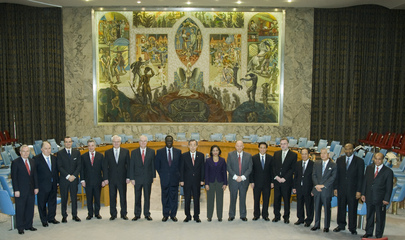 UNITED NATIONS, December 22 -- The UN budget was supposed to be completed and approved by December 18. Now, three days before Christmas, the wrangling continues down in the UN basement. The General Assembly session of Tuesday morning, scheduled to rubber stamp the Budget Committee's output, has been canceled. The press conference by Assembly President Ali Treki of Libya has been pushed back. As Inner City Press reported on Sunday night, exclusively for what it's worth, the Committee met throughout the weekend blizzard, with chairman Peter Maurer of Switzerland appearing in jeans amid mounds of pizza boxes and beer bottles. Committee members, who apparently got instructions, were even more tight lipped than usual about how public money will be spent. For now as a sample, Inner City Press is publishing the draft scale of assessements for the apportionment of expenses of the UN peacekeeping operations. In the middle of 17 paragraphs there is a table grouping countries by gross national income, setting a threshhold and a percentage discount. See attached, and watch this site. UNITED NATIONS, December 22 -- Just back from the debacle in Denmark, UN Secretary General Ban Ki-moon threw a party for the Press. There was only one problem: he wasn't there. Reporters milled around his 38th floor conference room eating samosas and green cheese with a slew of Under Secretaries General. Peacekeeping's USG chatted with the top humanitarian, whom the chief of staff denied had spoken of his role in Sri Lanka's deadly surrender. There were ASGs as well, describing a move away from paper and how to measure success or failure in the Congo. The Comptroller was nowhere to be seen, stuck down in the basement with the budget committee. Finally the DSG took to the podium, apologizing that her boss was also in the basement, listening to just four more speakers about democracy in Denmark. As reported by Inner City Press on the record, Sudan and Latin leftists trashed the UN process in Copenhagen, then again in New York. 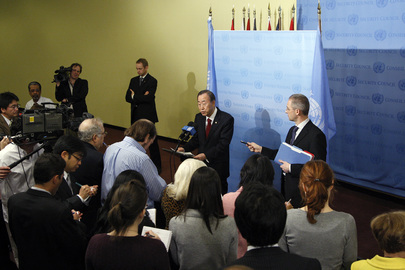 The DSG thanked the press for a year of "supporting" the S-G and UN. One correspondent grumbled that the job is to report, not support. Ultimately, long after the invite's expiration, Mr. Ban arrived. He was genial but insisted it was all off the record. The criticism wasn't, and one wonders how the UN expects fair coverage if it can't be honest on the record. While some correspondent mused, "he's better in such settings," being off the record means this is rarely reported. The off the record over, the Press descended for the tail end of Burkina Faso's end of Security Council presidency bash in Delegates' Dining Room Six. There were balls of millet and three different kinds of beer. A staffer of the Permanent Five told the Press how sad December is, with at least five countries and their experts leaving the Council forever. Burkina was more generous with food than with answers at the stakeout. Four blocks south at the Indonesian Mission, the new foreign minister posed for photo after photo with his staff. He had fielded Press questions about Papua and independence -- no need for the UN, he said -- and Myanmar and his Navy's service in Lebanon. A former UN staffer, the noted Mister Blue, recalled a trip to Timor back in the year 2000. It all comes down to friendship, he said, in the end. UNITED NATIONS, December 21 -- With Christmas four days away, the UN Security Council has scheduled a December 23 vote on sanctions on Eritrea, delayed at the request of France, while putting off consideration of the UN's report on war crimes in Guinea, because it is only in French. Meanwhile the promised briefing on Western Sahara, Moroccan sources gleefully tell Inner City Press, may not take place at all. Is this any way to run a Council and world? Inner City Press asked this month's Council president Michel Kafando of Burkina Faso what has happened to the briefing on Western Sahara, which several Council members affirm was agreed to be consensus last week. "We are still in consultations," Kafando answered. Video here, from Minute 6:07. Asked when the Council will meet on the already leaked report on war crimes in Guinea, Kafando claimed that the Council does not yet have the report. Later at the stakeout it was clarified that until the report is translated from French into English, the Council will not meet on it. Whether the translation can be done and distributed by Wednesday is not clear. Murkiest of all is the resolution imposing sanctions on Eritrea. Last week it was said it would be put to a vote on Monday, with Libya abstaining or voting "no." But on Monday a Permanent Five member of the Council told Inner City Press that "France asked Uganda for a delay." Uganda, an IGAD member, is the ostensible sponsor of the resolution, and has confirmed France's request. Inner City Press has asked why France moved for the delay on the Horn of Africa sanctions resolution without receiving any on the record answer. Later, sources alluded to some unresolved French hostage issues. Watch this site. UNITED NATIONS, December 21 -- A complaint of systemic nepotism in a UN mission, in the Central African Republic, has been raised and rebuffed by the UN Department of Political Affairs. The head of DPA's Africa II Division, according to whistleblowers, has placed relatives and friends throughout the United Nations Peace-building Office in the Central African Republic. Inner City Press, which has reported about the Central African Republic for three years, has received detailed reports, summarized below. Is Gabriel Buh Kang a relative of yours? A cousin? Is BONUCA staffer Ekei a relative of yours? Your niece? What is the status of Brindou Germain Kabran ? When in CAR, have you stayed with Brindou Germain Kabran? Did you still collect DSA? Please provide records. What can you say about the case of Gozo Tshamala? 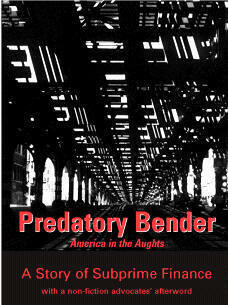 Mr. Buo is also accused of hiring a former mercenary from Executive Outcomes, in violation of UN rules. While Mr. Buo has refused to respond, Inner City Press has discussed the matter with other Mission officials and finally, on December 21, with Mr. Buo's boss in DPA, Haile Menkerios. Mr. Menkerios confirmed he is aware of the issue. 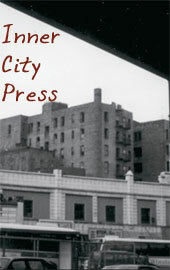 Inner City Press asked Mr. Menkerios what DPA's response would be. It is a management issue, Mr. Menkerios replied, that will be responded to in a management way. Previously, Mr. Menkerios' boss, and Ban Ki-moon's chief political official Lynn Pascoe has refused on camera to comment on a rift between himself and the two top staffers in DPA's Security Council Affairs branch, calling it an internal matter. But the abuse of UN funds for hiring relatives in a DPA administered mission is not an internal matter. There are other brewing DPA scandals, on hiring on other issues, on which Inner City Press is still waiting for substantive answers. But the matter of Central African Republic, which is on the Security Council's agenda for December 21, must now be moved forward on, given Buo's and now Mr. Menkerios' non answers. Watch this site. Dear Matthew Please innercity should absolutely look into this matter which is serious WHAT IS GOING ON IN BONUCA/BINUCA? 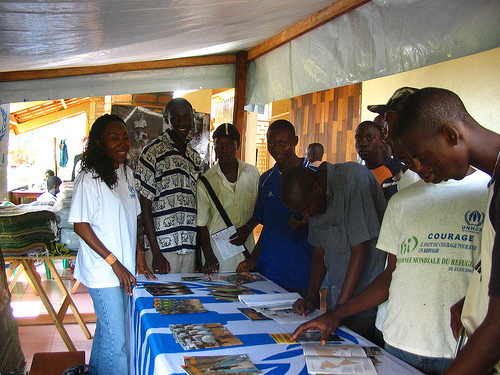 DPA has created a new mission called BINUCA to replace BONUCA starting January 2010 in Central Africa Republic. For more than 9 years, BONUCA a DPA led mission was plagued with nepotism and favoritism... Of particular importance is the role played by Mr Sammy Kum Buo, the Director of Africa II, very famous with his absence of political judgment (remember Rwanda where he was advising the SRSG Booh Booh) who had succeeded in appointing a niece called Ekei as Administrative Assistant, a cousin called Gabriel Buh Kang in the finance section... the recruitment of the security Officer, Antonio de Jesus a former memeber of Executive Outcome was done in violation of all the recruitment rule procedures. Buo is trying to maintain in the mission his friend Brindou Germain Kabran where he lives when he is mission in CAR despite he, receiving the DSA.. His fellow Cameroonian... Marie Claire Bikia, recruited as administrative Assistant, is trying to be promoted Gender assistant. She went several times in Turin for gender training. Consider it done, or started. Watch this site. UNITED NATIONS, December 21, updated -- After the UN's chief of staff Vijay Nambiar was quoted on December 17 that the UN knew its Afghanistan deputy Peter Galbraith was pitching the overthrow of Hamid Karzai to Joe Biden and this was "one of several factors" why he was fired, the UN refused to elaborate. This continued on December 21, when UN Spokesman Martin Nesirky declined to comment on Inner City Press' questions about Mr. Nambiar. Mr. Nesirky, previously answering Inner City Press' question, said that because Galbraith was challenging his termination, it would not be appropriate to comment. This was not said at the noon briefing when the question was asked. Rather, it was inserted later into the transcript. The next day, Inner City Press asked if Galbraith had launched his challenge before or after Vijay Nambair's quote. Nesirky said he'd check. Now Galbraith tells Inner City Press that this challenge was filed on December 10, well before Nambiar's comment. If true, the UN's stated reason for now refusing to comment appears in a different light. Being "tired" of l'affaire Galbraith is one thing. But the issue of fraud in the Afghan election, and the UN's role in it, should not be allowed to be buried on now specious legal grounds. In his e-mail to Inner City Press, below, Galbraith raises an issue of media ethics. Knowing both sides of this dynamic, Inner City Press for now simply presents Galbraith's submission, on which we will follow up. For now we say: whether one sides with the UN or Galbraith in this conflict, the issue of fraud in Karzai's election is larger. Watch this site. 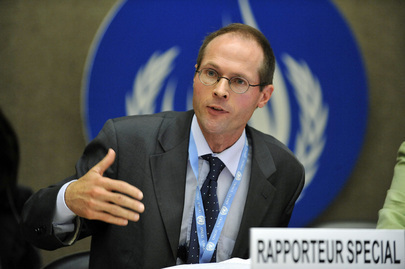 Subj: Re: Press Q from UN: did you disclose oil interest, if so did UN leak it? I filed my action on December 10, before Nambiar's quote. Having failed to come up with a plausible explanation for my dismissal, the UN now seeks to use the legal action as a pretext to stop discussing the matter, and the underlying issue of how it handled fraud in the Afghanistan elections. The fact that Vijay Nambiar chose to speak out on my case after I commenced legal action places his quote--and the whole new York Times story--in a rather different context. At the time he wrote his story about my supposed plot to oust Karzai, New York Times reporter James Glanz knew I had started legal action but chose not to share it with the New York Times readers until a separate story the the next day which carefully did not say when the legal action began. For the record, there was no plan to oust Karzai and the story is a complete phony. Like you, New York Times readers are smart enough to smell a rat in a story about an event that supposedly occurred two months earlier but is only "leaked" after legal action begins. It is too bad, Glanz did not think it important for them to know that. I am more optimistic than you that the UN legal system will produce the accountability that is so important in this matter. UNITED NATIONS, December 21 -- While most observers and even participants describe the Copenhagen global warming talks as a disappointment, UN Secretary General Ban Ki-moon on Monday told the Press that they "sealed the deal" and were a success. 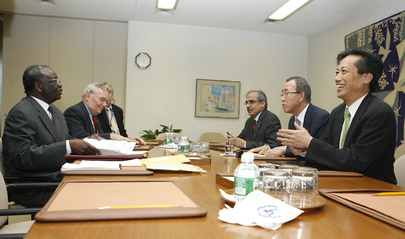 Inner City Press asked Mr. Ban about the scandal erupting around the undisclosed business interests of the chairman of the UN's Intergovernmental Panel on Climate Change Rajendra Pachauri, from the Tata Group through Deutsche Bank to Credit Suisse, and about the criticism by the chairman of the Group of 77 and its now 130 member states. Mr. Ban entirely dodged the first question, paradoxically using it as an opportunity to praise business. On the second, he asserted that the chairman of the Group of 77 was not, in fact, speaking for the Group, since others' of its members spoke more positively. 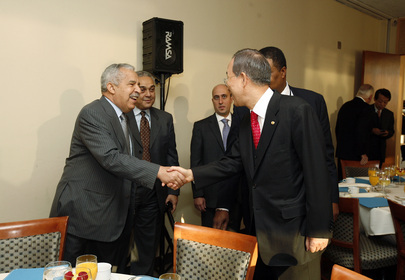 Moments later, Inner City Press asked Sudan's Ambassador to the UN about Mr. Ban's comments. 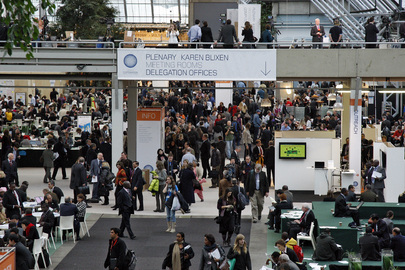 "Divide and rule," he answered, calling the Copenhagen process "climate apartheid." This phrase steps back from his counterpart in Copenhagen who analogized it to the Holocaust. 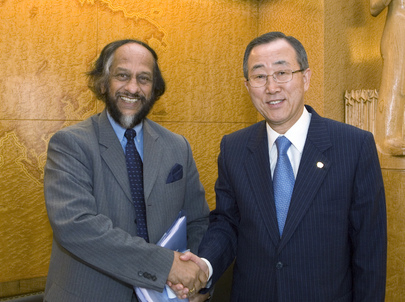 Pachauri's conflicts of interest are extensive and emblematic of the UN's lack of transparency and safeguards. In 2008 he was made an adviser on renewable and sustainable energy to the Credit Suisse bank and the Rockefeller Foundation. He joined the board of the Nordic Glitnir Bank... 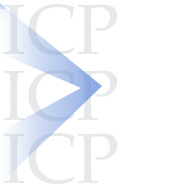 This year Dr Pachauri joined the New York investment fund Pegasus as a ‘strategic adviser’... He is on the climate change advisory board of Deutsche Bank... One subject the talkative Dr Pachauri remains silent on, however, is how much money he is paid for all these important posts, which must run into millions of dollars. So, notwithstanding the non-responsive answer Monday morning, does Mr. Ban believe that Pachauri should make public financial disclosure of these interests? Watch this site. UNITED NATIONS, December 18 -- While world media reports that the International Monetary Fund might play a role in climate change adaptation funding, as proposed by among others George Soros, IMF spokesperson Caroline Atkinson told the Press on Thursday that how SDRs (special drawing rights) are used is "up to individual countries." Video here. But the proposal involves the IMF using the gold it holds, already ostensibly directed to less developed countries, for the purpose of adaptation. So shouldn't the IMF have a response? Sitting "idle" in the IMF's coffers are $150 billion for just 15 countries. But the IMF apparently doesn't have the funding or staff or commitment to prepare a transcript of its mere biweekly press briefing the same day it is held. Below are portions of the proposal. Developed countries' governments are laboring under the misapprehension that funding has to come from their national budgets but that is not the case. They have it already. It is lying idle in their reserves accounts and in the vaults of the International Monetary Fund (IMF), available without adding to the national deficits of any one country. All they need to do is to tap into it. In September 2009, the IMF distributed to its members $283 billion worth of SDRs, or Special Drawing Rights. SDRs are an arcane financial instrument but essentially they constitute additional foreign exchange. They can be used only by converting them into one of four currencies, at which point they begin to carry interest at the combined treasury bill rate of those currencies. At present the interest rate is less than one half of one percent. Of the $283 billion, more than $150 billion went to the 15 largest developed economies. These SDRs will sit largely untouched in the reserve accounts of these countries, which don't really need any additional reserves... The United Kingdom and France each recently lent $2 billion worth of SDRs to a special fund at the IMF to support concessionary lending to the poorest countries. At that point the IMF assumed responsibility for the principal and interest on the SDRs. The same could be done in this case. The IMF owns a lot of gold, more than a hundred million ounces, and it is on the books at historical cost. At current market prices it is worth more than $100 billion over its book value. It has already been designated to be used for the benefit of the least developed countries. The proposed green fund would meet this requirement...it could make the difference between success and failure in Copenhagen. So shouldn't the IMF have had something to say about the proposals? Watch this site.